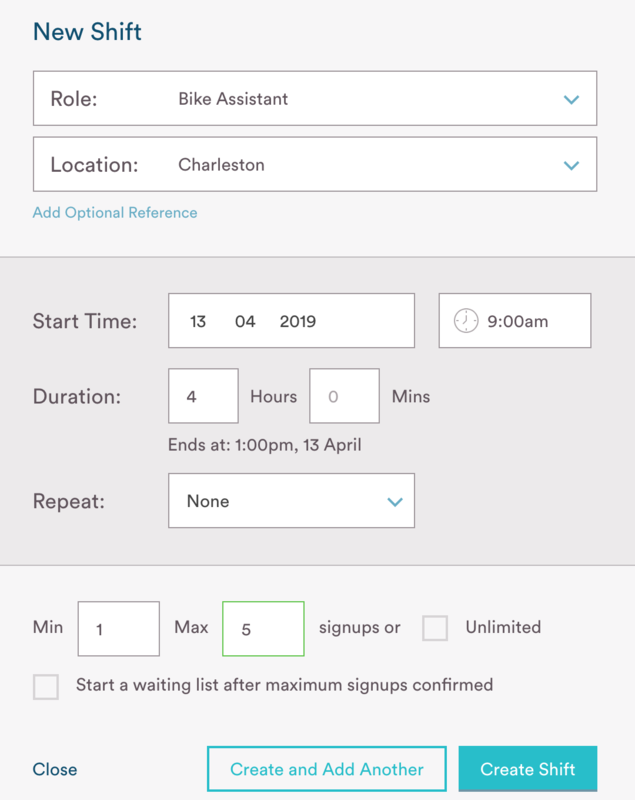 To ensure you have the correct number of volunteers for your event, be sure to clearly state the minimum and maximum number of signups for your event or role. 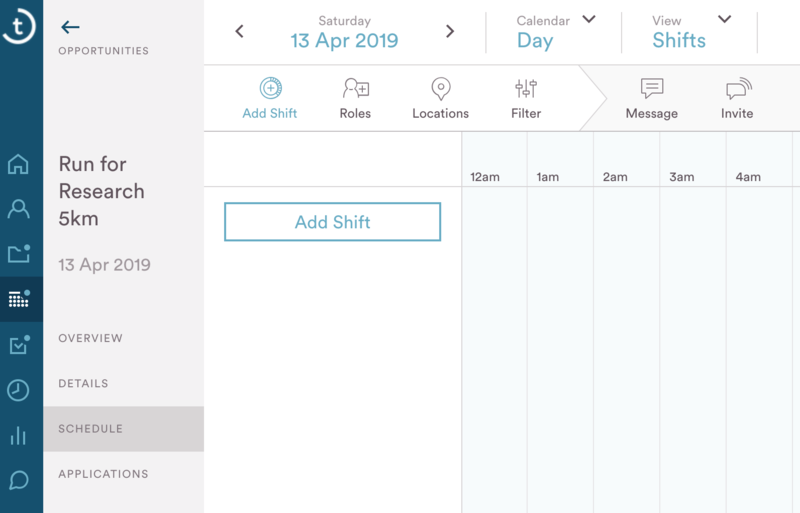 When you have finalized with 'Create Shift' you will see it appear within your schedule - stating the #/# (actual/maximum) number of volunteers. 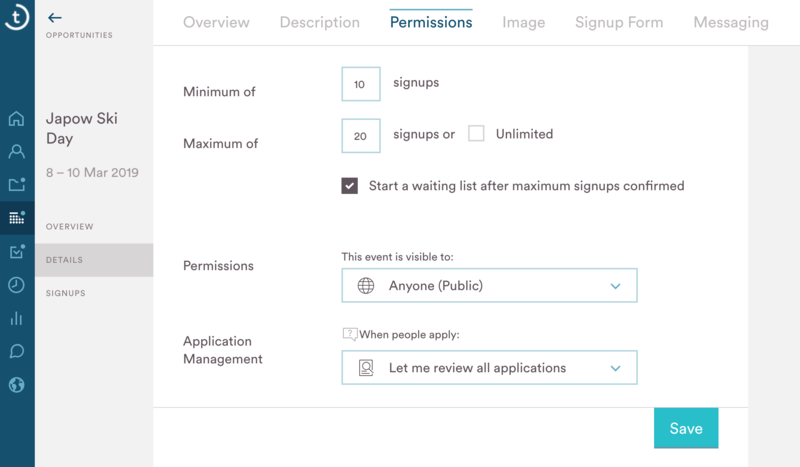 Simple state the minimum and maximum number of people within the Permissions tab.